She’s Emily the Elephant on the Peek-a-Boo Zoo toy. She was the gentle British voice on one of the first business card-size CDs, from a multi-million dollar company. She’s invited you to enjoy Mariner baseball and Washington State Cougar football. You’ve heard Pam on commercials for both radio and television… as the voice explaining how Lasik surgery works on CD handouts from ophthamologists… as the knowledgeable voice on infomercials… and the delightful voice that keeps you company on the telephone while you hold. With the ability to do almost 50 dialects and accents, you may have heard Pam and not even known it! 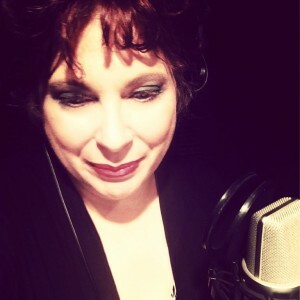 Pam’s been working in the voiceover field since 1985 and has recorded thousands of commercials. Most recently, her voice can be heard on a national infomercial. If you’d like to book Pam to handle your voice needs, please go to the Contact Us page and let us know!